visit our beautiful shop, situated on the fabulous promenade in Sunny South East Wexford. we deliver to all areas of Wexford town and surrounding county areas. We supply fresh top quality cut flowers, arranged for funerals, Birthdays and all gift occasions. 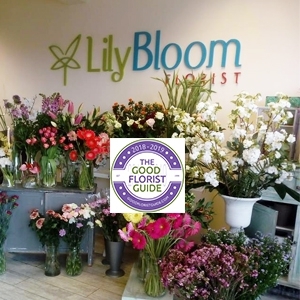 Lily Bloom florist is a beautiful flower shop located on Wexford Quay, overlooking scenic Wexford Harbour and promenade. 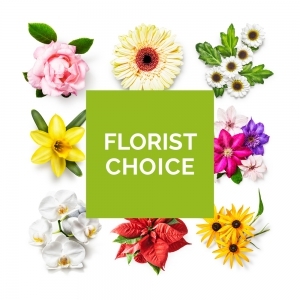 With over 22 years in the trade, Debbie and her staff can offer a professional and quality customer service in all areas of floristry. Wedding, Funerals, Occasions, Gifts, Chocolates, Soft toys, Balloons, all catered for here at Lily Bloom florist. We can offer a full delivery service on all items, around Wexford town and all country areas. Perfect, my order was met on time and communication was easy. Delighted with the wreath and the prompt delivery at short notice. My sister in law was delighted with her bouquet and judging from the photos she's sent me, she has every reason to be! Beautiful flowers. My Mum was really overjoyed and said it was the nicest bouquet she has ever had. Thank you. Excellent service. I would use Lily Bloom Florist again.